At the time of writing it nearing the end of 2011 so some of you may be searching for my previous staff holiday planner for 2012. If you are planning very far ahead (or if you are reading this in 2012/2013) you might want my 2013 staff planner. This is my latest free spreadsheet that can help you track staff holidays, training, sick days and offsite days. It comes configured with formulas that can automatically track the total number of holiday days remaining (columns C&D) for each employee. If you don’t want to use this simply delete those columns. The default formula subtracts 1 or 0.5 from the remaining holiday if the employee cells contain the words ‘holiday’ or ‘half. You can copy and paste (ctrl-c, ctrl-v) the coloured tags (holiday, half, training, etc) from the top left into the staff planning cells and the totals are automatically updated. It is easy to customise the formulas if you want to factor in sick days for example. See the 2012 planner for more example formulas. Note that the 2013 calendar formulas count the entire row (which includes the last bit of 2012 and the first bit of 2014), whereas the 2012 calendar formulas just count the 2012 year. 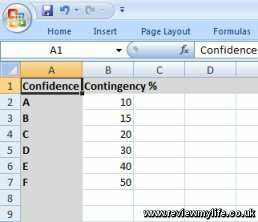 You can adjust the formulas to suit your requirements. 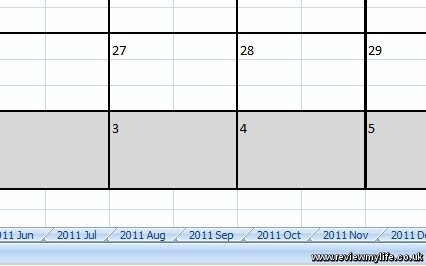 As the staff holiday planner has over 365 columns you won’t see the whole year if you open it with an ancient spreadsheet package such as Excel 97. 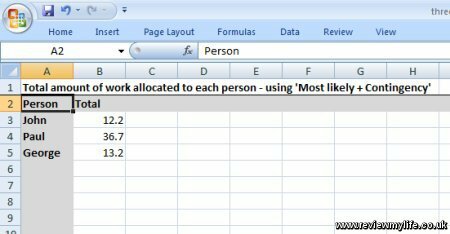 You’ll need to use a more modern spreadsheet package such as Excel 2007 or OpenOffice (which is free). One workaround if you are forced to use Excel 97 at work is for you to use OpenOffice at home to split the spreadsheet into 2, one part for 2013 H1, and one for 2013 H2. I had a PDF form which I needed to fill in. The form was not editable, but I still wanted some way to fill in the fields on the computer rather than having to print it out and fill it in by hand. Add text to an existing uneditable PDF. Save the PDF with the new text in place. Ability to re-open the PDF and continue editing the newly added text. I wasn’t interested in the ability to edit the PDF form itself – only the new text that I added. The software should be free. I didn’t want software with a time limited trial. The software had to leave no watermarks on the PDF. I wanted PC based software rather than web based – I don’t want to have to submit my PDFs to some company that I may never have heard of. 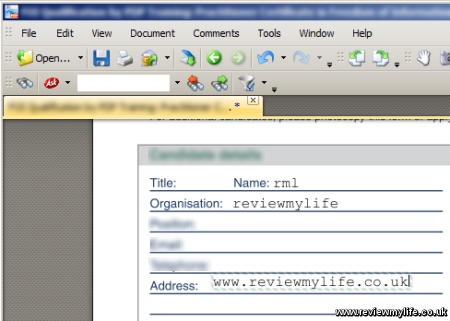 The software that I found that allowed me to fill in my PDF forms as per my requirements was called PDF-XChange Viewer. 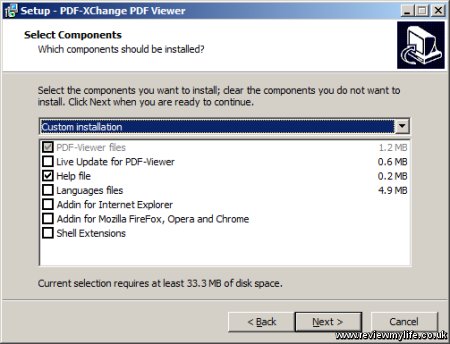 The easiest way to install PDF-XChange Viewer is to download the EXE installer from their webpage. You should be careful when installing, as by default it will change some of your computer’s settings and try to install a browser toolbar. On the ‘Select Components’ screen I deselected everything except for the help file. I don’t want any extra menus added to Windows Explorer, browser extensions, or automatic update checking. This is a tool that I’m only going to use occasionally so I want it be unobtrusive when not in use. Then on the ‘Select Additional Tasks’ screen I made sure that the ‘Set PDF-XChange Viewer as default viewer for PDF files’ was unticked. I want to continue to use Adobe Reader for viewing PDFs. On the ‘Install the Tracker Ask Toolbar’ screen I unticked the top option. It would be easy to misread it if you are quickly clicking through the install, and think that this option is just to agree to the main licence terms. But read carefully and you’ll see that it is for agreeing to the licence terms for the Ask Toolbar and confirming that you want to install it. So untick it unless you want the Ask Toolbar. Finally when I started the tool for the first time I told it not to make PDF-XChange Viewer the default PDF viewer, and set the option for it not to ask me again. After carefully completing the install this is how to add text to your existing PDFs. I’m using a random uneditable PDF that I found on the internet. First load the PDF into PDF-XChange Viewer. You should be able to figure out how to do that yourself! The easiest way to write on the PDF is with the ‘Typewriter Tool. Go to Tools->Comment and Markup Tools->Typewriter Tool->Default Style to select it. Then you can simply click anywhere on the document and start typing. You’ll see the Typewriter Tool cursor where the text will appear. To test that your changes get saved properly: save a copy of the PDF and then load it into Adobe Reader. To test that you can re-edit your text additions: load the PDF back into PDF-XChange Viewer and try re-editing your text. You can double-click on your text to get the editing cursor back. And you can right click on any of your new text boxes to get the option to delete them. Peter Kaltstein, Software Developer, talks to reviewmylife about the NatAmi project and the Amiga computer. 1. What is the NatAmi project? NatAmi stands for Native Amiga and is a reimplementation of the former Commodore Amiga design, aiming at more performance while still keeping low level compatibility. The original concepts are strongly tied to DMA and multiple programmable special purpose chips. Thomas Hirsch started with his idea in 2003, first as an Amiga compatible disk controller that evolved into a full AGA Amiga implementation by time. His main motivation was that he wanted to have Amiga back, but also the technical challenge itself. 2. What is your role and how did you get involved? I met Thomas first, when we were both working in a computer company in Böblingen in 2007. Seing his early prototype in action convinced me to join to help revive the Amiga. 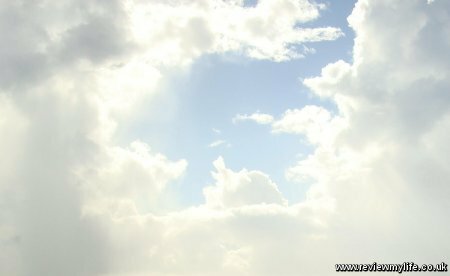 Because of my Linux skills, I have set up the Natami server and development infrastructure – both for public and team internal usage. We use IRC, TRAC and Subversion to synchronize work. 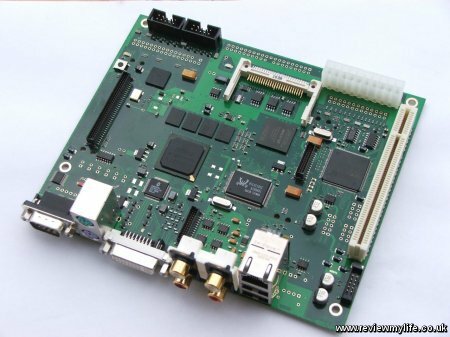 As a software developer I am looking forward to getting my Natami MX-board soon, when OS & application development can start. 3. Who are the key people involved in the project? Thomas is the PCB and chipset designer. The 68050 is done mostly by Jens and Gunnar. Andi, Keith, Jens, and Gunnar wrote 68k testcases for it. Many team members joined and helped the project: Bartek did the graphics for the 2D demo game prototype and web banners, while Guillaume is a professional musician and contributed his own compositions for Natami. Additional members help on programming and more. 4. How was the hardware specification for NatAmi decided? The 1st design based on 68060 originally included the CPU socket and SDRAM. Since this design would have been very expensive it evolved into a more modular concept and also switched to DDR2 memory. 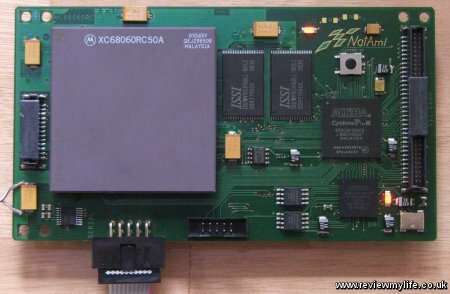 Jens and Gunnar started developing a softcore 68k highend CPU, that is included into the same FPGA containing the Amiga compatible chipset. This makes the CPU-card with a physical 68060 optional. 5. How do you organise the work amongst yourself? Since this is a spare time project, we organize work items in the internal side of the web forum and on IRC. 6. Are you getting any input from the original Amiga designers / programmers, or are you working everything out yourselves? Everything is done by ourselves based on public specifications. 7. How do you go about designing the chipsets to be compatible with the original Amiga chipsets? We can’t give a compatibility percentage yet but any game that already runs on a 68060-AGA-amiga is very likely to run also on Natami. With WHDload there is already a project improving compatibility of the old games and this project also helps the games on Natami. 8. What are the most challenging parts of creating NatAmi? It is difficult to name only one but here are some examples: For Thomas a lot of effort was needed in adapting the Amiga chipset to make use of a pipelined DDR2 memory controller. As another example Jens spent quite some effort on an efficient CPU-cache design on the N050. 9. How is the NatAmi project financed? Everything is financed privately. Thomas payed all the prototypes and parts he ordered for stock by himself. However the biggest sacrifices are the working hours spent. Since the journey is the reward, this makes a project possible, that otherwise would only be possible with a big investor. 10. How and when will Amiga fans be able to get hold of a usable NatAmi retail device? Currently Thomas is ensuring that all components on the MX-board are working. Afterwards the board can be distributed first to team members and then after additional testing and driver development to the public. Please understand we can’t provide an exact date yet, but we will publish on www.natami.net in our news blog, when ordering can start and provide more info when the team-internal board testing starts. 11. Will Amiga fans that have old games or applications on 3½ inch floppy disks be able to use them with NatAmi? 3.5″ disk games already booted on the 1st Natami prototype and are still supported on the latest board, the Natami MX. However many will probably prefer to copy them to harddisk-images or use a compact flash onboard. 12. What do you think the retail NatAmi device will look like? As of now the Natami MX design with its current configuration is decided to be the board that will be sold. Additionally to the LX the MX features Gigabit LAN onboard and also USBv2. 13. Why is the Amiga still relevant today? The OS and hardware were extremely sophisticated at its time and very much superior to the x86-PC. People have different reasons for wanting Amiga back. Replacing still used Amigas with a full compatible successor can be one. Another aspect of the retro-movement might result out of the fact that current systems appear bloated and are not always fast to use, despite of having several GHz of CPU clock and lots of memory. Since AmigaOS is very fast, light-weight and friendly to use and was so much ahead of its times, it still can be a nice niche platform not only for retro-gaming but many other tasks and to develop for. On the Amiga a programmer has low level access to the hardware which is an interesting challenge and very efficient. 14. What Amiga’s do you own, and what was your favourite Amiga? I still own an Amiga 4000 desktop. My machine history before is A1000 and A2000. Actually every Amiga I owned was great at its time for me, but I have to admit, that up from 68060 times on, I also started using Linux and continued to use it on PowerPC. For more information visit the www.natami.net website. Photos used with permission of the NatAmi team. 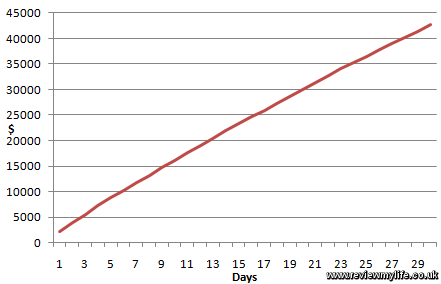 At the time I write this 2010 is nearly over, which means that 2012 is just over a year away. 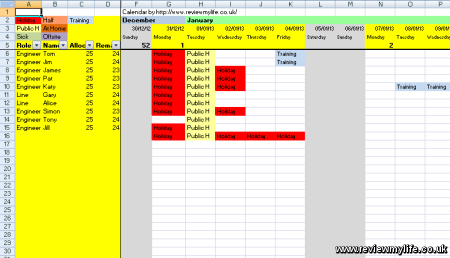 If you are planning far in advance then you might appreciate this free downloadable 2012 one page Excel calendar. 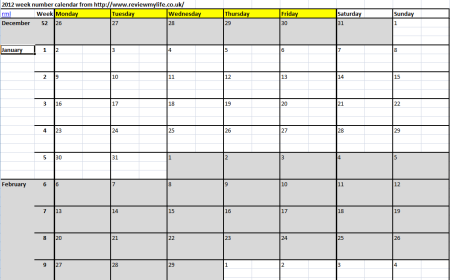 If 2012 is too far ahead then I have a 2011 one page excel calendar available for download as well. Just like in previous years this calendar features the whole year on a single page. It should fit on your computer screen, but you might need to adjust the zoom depending on your default settings. There are two versions, one is plain, and the other has the UK bank holidays marked on it. Both version of the calendar are free to download, and should work on Excel 97 and above, or on OpenOffice (which you can download for free). Here is a free monthly calendar for 2011. 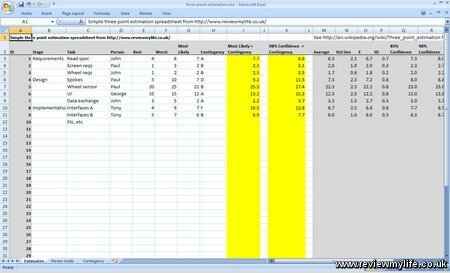 You can download it as a XLS spreadsheet for Excel, Open Office, or whatever spreadsheet application you use. I’ve previously produced a one page calendar for 2011, but I had a request to produce a month by month version, with each month on a separate tab. Here is what September 2011 looks like. And here is a zoomed in picture of the calendar months listed on the tab at the bottom. It is a free download, and only 13kb zipped up, or 96kb uncompressed. The days of the week are along the top in a frozen pane, and the weeks are along the side. 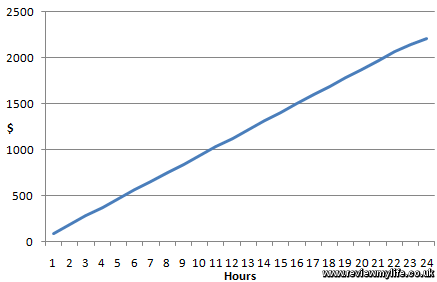 I’ve put the week numbers in as well (ISO 8601 week numbers if these things matter to you). This calendar should be viewable on Excel 97 and above.